I plan to buy just a few of the high res recordings vs. the box set. Which Tosca is the better performance - the 1953 with Giuseppe di Stefano as Mario Cavaradossi, or the 1964/5 with Carlo Bergonzi? I'd imagine that the later recording would have better sound quality, but I think there's no way of knowing until someone listens to both remastered versions. Last edited by RobertKC; Aug-10-2014 at 16:54. 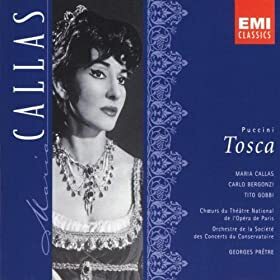 The 1965 Tosca is much better than you would think, one of the very last recordings made by Callas but still essential IMO, Gobbi is great here. Last edited by DarkAngel; Aug-10-2014 at 17:37. 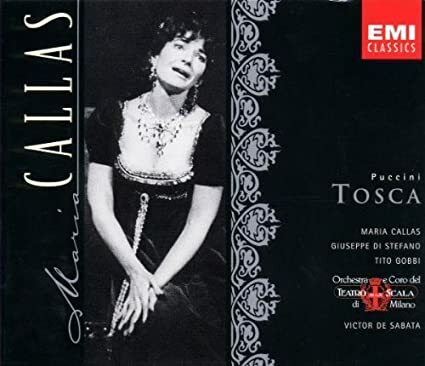 The 1953 Tosca is indisputably one of the greatest opera recordings ever made, tout court. The sound, though mono, is pretty good, and could be even better in its latest transfer, which is out next month. It's definitely the one to go for. I have an affection for the later one, though Pretre's conducting is nowhere near as masterful as De Sabata's and Callas's top is extremely unstable by this time, most of the top Cs squally and unpleasant on the ear. Gobbi's voice has also lost some of its bloom. That said, they are still two great artists and still bring more to their roles than any other singers I know. Bergonzi is a mellifluous Cavaradossi, but Di Stefano is more characterful, and in his very best voice on the De Sabata. This Pretre one, though, is probably only for Callas completists. Last edited by GregMitchell; Aug-11-2014 at 09:06. Thanks DarkAngel and GregMitchell for the recommendation. I’ve checked with Presto Classical and they don’t have an availability date for the 24bit/96kHz FLAC file for the 1953 Tosca. I’ll download it as soon as I’m aware it’s available. Update: I've just received an email update from Presto that says that there was an error in their newsletter, and that the Callas recordings will NOT be available to the consumer in 24bit/96kHz format. The Presto representative says that the recordings were remastered in 24bit/96kHz but are being made available only in CD format (i.e., 16bit/44.1 kHz). It will be interesting to see in the future if they offer a 24bit/96kHz FLAC download or Blu-ray audio disk. There still seems to be some mystery about the possible availability of a 24bit/192kHz FLAC download - the Amazon description states: "Maria Callas's complete discography (for the first time joining her EMI Classics and Warner Classics recordings) has been remastered and re-released across a broad product suite, including a deluxe complete box set, individual recordings, a compilation, two vinyl releases and a digital product suite." Presto Classical stated about a week ago that "The 24/96 recordings are going to be made available as FLAC downloads alongside the formats we already offer" - but now they say CD only. I'd like to have this recording, buy I'd rather invest in the highest quality product, so I'll think I'll wait until Sept 23 and see if the high-res download becomes available. Last edited by RobertKC; Aug-11-2014 at 22:29. Last edited by DarkAngel; Aug-14-2014 at 16:57. Don't have ITunes, but I trust your judgment on the sound. Champing at the bit DA? I hope the cds come down that much. Even Karajan and Culshaw said when recording Tosca that they could no hope to compete with Sabata. The Pretre is in direct competition. Just how a EMI, with a less than good Puccini conductor, hoped to compete is beyond me. Last edited by DarkAngel; Sep-08-2014 at 01:51. Let's hope this is the definitive edition.